For the past few years, the growth of B2B (Business-to-business) e-commerce has been steadily increasing. 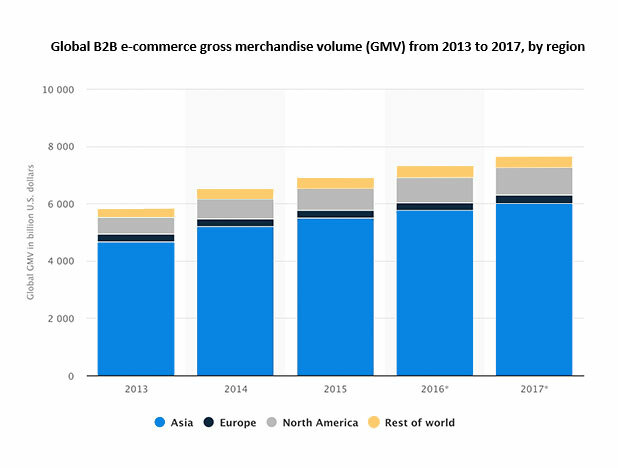 The B2B e-commerce gross merchandise volume (GMV) worldwide has jumped to 7,660 billion US dollars in 2017, as compared to 5,826 billion US dollars 4 years ago. Asia alone, accounted for almost 80% of all B2B e-commerce volume in the world. And in recent years, the B2B procurement market in Southeast Asia has garnered lots of attention because of its lucrativeness. The age of Information Technology has disrupted many traditional businesses, big and small, to the surprise of many. In its wake, large corporations and small business owners are left scrambling to stay relevant in this new age. If you own a B2B enterprise, now is probably the right time to get on the e-commerce bandwagon. Procurement involves the selection of vendors, the establishment of payment terms, negotiating contracts, and purchasing of goods. Procurement is basically a search mechanism for the organisation. It requires finding all products necessary, from hardware to equipment to even stationery, for a company to run its operations. For example, procurement for a manufacturing company may involve sourcing for the raw materials required to manufacture the desired end product. It requires finding all products necessary for a company to run its operations. The 3 main functions of procurement is to keep goods and services purchased at a low cost, with high quality while ensuring timely delivery. 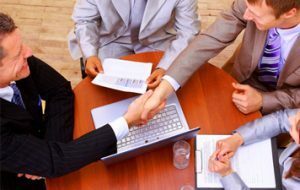 It is the procurement specialists’ responsibility to negotiate with vendors with the aim of establishing the terms of purchase for the required goods and services. Also, procurement does not necessarily revolve around physical goods, it can also involve services. To sum it up, procurement is basically the overarching term within which purchasing is found. As mentioned above, purchasing is part of the procurement process. In purchasing, the organisation only needs to set aside a budget for the products it needs to acquire. It is a straightforward process that only requires authorisation from the management to purchase the goods. The procurement process of securing the right vendor needs to take place before the purchasing stage. For retail businesses, they do not have to go through the procurement process. They can simply contact their long-term suppliers and make a purchase. A closer look at how the two processes take place will provide a clear distinction between the two. Once a vendor is identified, a procurement officer will then negotiate a contract or an agreement with the vendor. Negotiation of a contract or agreement is typically required between the procurement officer and vendor. This means the back-and-forth communication between the two parties is indispensable. At the procurement stage, the main concern revolves around sourcing for products with the right quality and price. On the other hand, purchasing, is mainly concerned with cost control. The responsibility of the purchasing department is to ensure that all transactions coordinated by the procurement team fall within the budget. They would also have to inform the procurement team of any budgetary constraints involved. Procurement and purchasing should not be treated as two separate entities. In fact, it is vital that the both functions of a business work hand-in-hand. Both functions have to ensure that the products sought after are of acceptable quality, priced affordably and most importantly, meets the needs of the business. Given the various systems and processes, handling B2B transactions can be rather complex and taxing. There are a number of challenges companies will face in the procurement process. 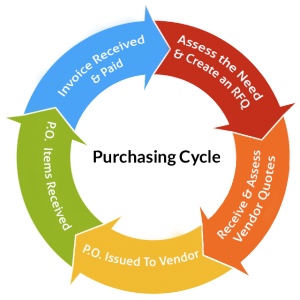 In B2B procurement, every transaction typically involves at least five buyers. Each of these buyers can either push for or block a sale, depending on their individual experience with the vendor. Thus, this increases the complexity of the overall relationship. This differs from B2C transactions where only one buyer is involved. The business procuring for the products or services rarely ends up being the end user. The procured goods are usually used to either make the final product or used as a part of the end product. This would require numerous production stages before it is ultimately sold to the end consumer. Whereas for B2C, the end user directly purchase the goods or services themselves. As mentioned above, it is rare for B2C transactions to involve more than one buyer. 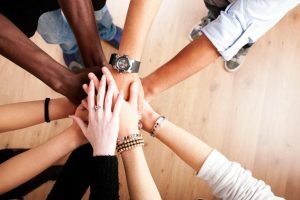 Even if more than one buyer is involved (typically among family members for big-ticket items like cars), the buyers usually have a shared or similar experience. In B2B procurement, each of the buyers in the group has a specific role assigned to them. For example, the accounting department controls the budget, the ICT department handles the integrated processes, while the operations department fulfills the final deal. However, it is ultimately the higher-ups, those who hold the C-suite positions, that make the final decision. For a such complex transaction, the procurement process can take months, since each department may come into play at varying times. The parties involved in B2B procurement tend to exist across various functional areas. As a result, suppliers have to ensure that they address the needs of all parties involved in the process. The experience of B2B customers, therefore, tends to be multi-channel with each party connected through a unique stream. 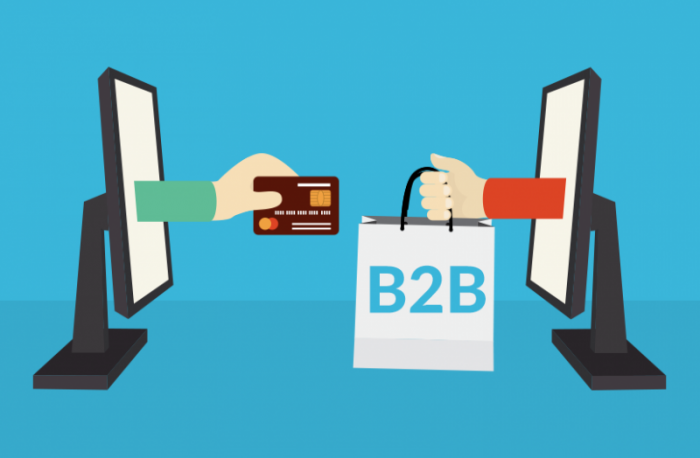 Hence, purchasing for B2B is not that simple and straight-forward as compared to B2C transactions. B2B procurement is not simply a one-off transaction. It involves a long-term and sustainable relationship that requires trust and commitment between business partners. Sellers often view B2B customers as accounts that require nurturing to develop into a relationship, as compared to a one-off customer. A relationship has to first be established so as to ease into encouraging repeat purchases in the future. While B2C brands should also consider the post-purchase customer experience, it is essentially crucial for B2B companies to do so. It is important to note that a good overall customer experience is able to outweigh a mediocre product in the same way as how poor experience can negate the advantages of a superior product. As you can imagine, managing procurement is not a simple job and it requires more than just great communication skills and an eye for detail. Procurement professionals are the ones undertaking such tasks and obtaining the items required at optimal prices. Many companies develop procurement policies and procedures to ensure consistency in the long run. That way, the business is able to align its purchasing strategy with its long-term goals. Procurement managers, agents, and buyers aim to obtain products either for company use or for reselling purposes. The result of their efforts is an overall gain to the organisation. 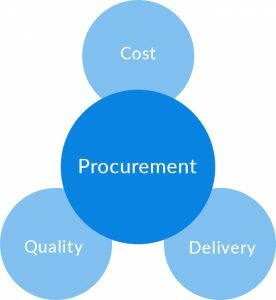 Over time, procurement managers would develop specialised expertise for evaluating suppliers based on quality, price, and speed of delivery. Not only are they able to interrogate vendors, they would also know how to evaluate quality at factories and distribution centers. They are also adept at analysing financial reports, price proposals and contract details. The accumulated knowledge and mastery over their subject matter would prove to be extremely valuable to the entire organisation. An organisation can consolidate purchase requests from multiple departments to the procurement department. This allows for one combined purchase order, which can be handled by a single vendor, to meet the needs of the entire organisation. This saves the company precious time by cutting the time needed to process requests. It also allows them to negotiate better prices with the vendors due to higher quantity orders. Procurement professionals who have nurtured a good working relationship with suppliers have an edge over others when seeking better prices. Conversely, working with a single supplier limits the ability of the company to look for better prices or better solutions that would cater to a diverse set of needs. Companies that embrace good procurement management practices are able to maintain both quality and consistency. In the past, procurement managers work with the same suppliers out of habit and convenience. As a result, the organisation may be too inflexible to take advantage of emerging opportunities. Today, with technology taking over every key business function, procurement managers now make use data to make decisions and plan for the future. Through their personal experience and insight, they are able to remain consistent even when making complex purchases. Procurement managers can help their company negotiate for the best deals. Firstly, this can be done by identifying the needs of the organisation before establishing the most advantageous position for contracts. Next, procurement officers would have to monitor and evaluate products and services on a continuous basis — to ensure outcomes conform to the terms and conditions. When they meet with vendors, they then discuss defective products or substandard services. The contract negotiation process also involves maintaining and reviewing a formal record of purchase and product performance. This ensures the supply chain remains effective. There is an emerging trend where supply chains are migrating to B2B marketplaces. That is because it reduces the cost of both supply chain functions and supply chain management. One reason why there is a reduction in costs is due to the abundance of information available on the Internet. While allowing for speedier and more transparent transactions, this method of B2B procurement also allows information to pass on quickly and reliably. Most important of all, all transactions and payments can be completed and received online and in real-time. The Internet provides suppliers with an infinitely bigger market since we can now reach out to people across borders. Suppliers can leverage on the Internet to facilitate B2B procurement and sell worldwide. The Internet allows for greater transparency when it comes to pricing. As a result, suppliers no longer have the strategic levers they used to cultivate preferred accounts for higher margins. However, this drawback is balanced out with the suppliers’ ability to achieve greater sales volumes while working with B2B marketplaces. B2B marketplaces keeps transaction costs low and because of that, completing transactions are now quicker and more efficient. Purchasers and suppliers, alike, both get to benefit from the lowered transaction costs. B2B marketplaces reduce the cost of purchasing by providing quick access to information to players in the supply chain. Knowledge of sources, technical data, availability, and pricing of products and services are now easily available. In the past, some of this information is classified and kept in secure folders that are only accessible to account holders that are part of the supply chain. This slows down the company and causes inefficiencies within the organisation. Cooperation among the supply chain members is extremely important. The lack of accessibility to procurement information may hinder cooperation between members. B2B marketplaces seek to bring greater efficiency and greater cost savings to the procurement process. With more available procurement information at hand, the best source can now be easily identified. While the actual prices of the goods may remain the same, the cost of procurement will be much lower. It is a given that managing B2B procurement and supply chain through the Internet is still in its early stages. However, it is highly possible to have even closer integration of the procurement and supply functions. On one hand, purchasers are looking for a low-cost source while suppliers want a high and predictable sales volume. By providing long-term data on both procurement and production needs to each other, companies can be able to satisfy both goals. When there is a steady demand of goods, the supplier is able to offer products at lower prices. The purchaser, on the other hand, also benefits from lower costs and reliable stream of supply. B2B marketplaces have led to the reduction of the power of intermediaries. We can now do away with the long and protracted procurement procedure and welcome a more simplified process. This is because suppliers now have the ability to offer their products and services directly to their customers while purchasers can find what they need directly from producers. By removing the intermediaries, players in procurement management can access real-time data on market changes in demand and supply. Suppliers no longer have to access data filtered through resellers. This trend has made transactions more efficient and kept costs lower, especially in the B2B space. Are you a B2B enterprise? Are you thinking about selling your goods online? Sell with us on Eezee.sg. Eezee.sg, Singapore’s first B2B marketplace, offers a secure marketplace for buyers and sellers of industrial hardware and supplies. With Eezee’s help, you can compare the product offerings and listings using the fully integrated search engine. Please click here if you would like to know more about Eezee.sg.